Wild Goose Creative is the home of Columbus Unscripted, Ohio's leading center for improvisation training and performance. Visit our Events page for a full calendar listing. Meets every 2nd Thursday, 7pm-9pm. Sassy Do is the largest all-female improv group in Columbus. Their special brand of comedy combines improv games, storytelling, sketch, stand-up, long and short form improv to produce a unique show every month, but with a woman's touch. Meets every 4th Monday, 7-9pm. This stand up comedy show by Columbus Unscripted welcomes anyone who wants to take the stage, from brand new jokesters to experienced comedians. Each month offers a new experience, with a different notable guest comedian, so come out to find out who's opening tonight! Admission is $5 online or at the door. Arrive early to sign-up to perform! Meets every 3rd Monday, 7-9pm. 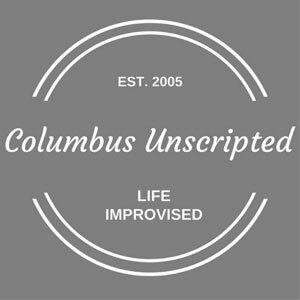 Columbus Unscripted:Celebrate Stand Up, Story and Improv is the resident improv comedy troupe of Columbus Unscripted, a non-profit organization dedicated to promoting the awareness, education and creative development of improvisational comedic performance in Central Ohio. Nothing is scripted; everything is spontaneous. Each scene is character-driven, and audience participation isn't required, but welcomed in an All-Play at the top of the show. Admission is $5 at the door!